When Christopher Columbus came to "New Spain" he noticed that the Indians used almond beans "as currency; and these Indians in the canoe valued greatly." Can you count the number of errors in this statement? Three. But the biggest error of all was that the Native Americans were using cocoa beans as currency and they were right to value it. Good chocolate makes me drool the second I smell it. A bite or a sip of really good chocolate sends a jolt of flavor to my jowls and makes me lightheaded. Quite simply, chocolate gets me high. The simple cocoa bean after being roasted and processed can be made into a variety of different products. 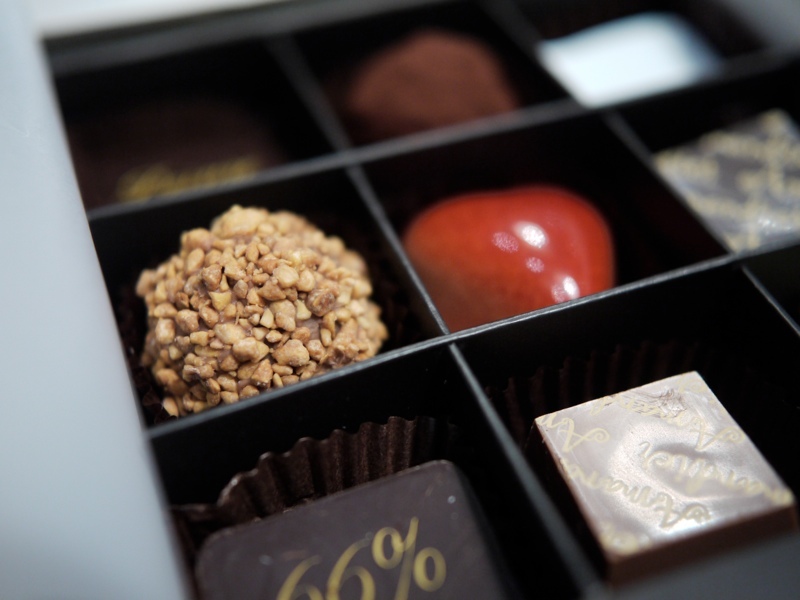 Great chocolatiers are like alchemists. They know how to temper the chocolate correctly in order to make a glossy sheen and uniform snap. They also know which flavorings, butters, and sweeteners to use. When I saw this cafe open across from the entrance to Insadong Street I thought, "great…another cafe." It doesn't need a cafe, but I am sure it could use some artisan made chocolates and pastries. Chef Ruben Jan Adrian brings his Belgium chocolate expertise to Seoul in his glass box patisserie. His chocolates are creative and seductive. This is the perfect gift to give on white day (March 14th is the holiday in Asia where men give gifts to their beloved.) The white coconut chocolate is tropically warm and so is their white chocolate pistachio. The szechuan chili chocolate perfectly merges spicy, bitter, sweet, and savory. My favorite out of my chocolate box was the whisky chocolate which tasted like a perfect nightcap after dessert. 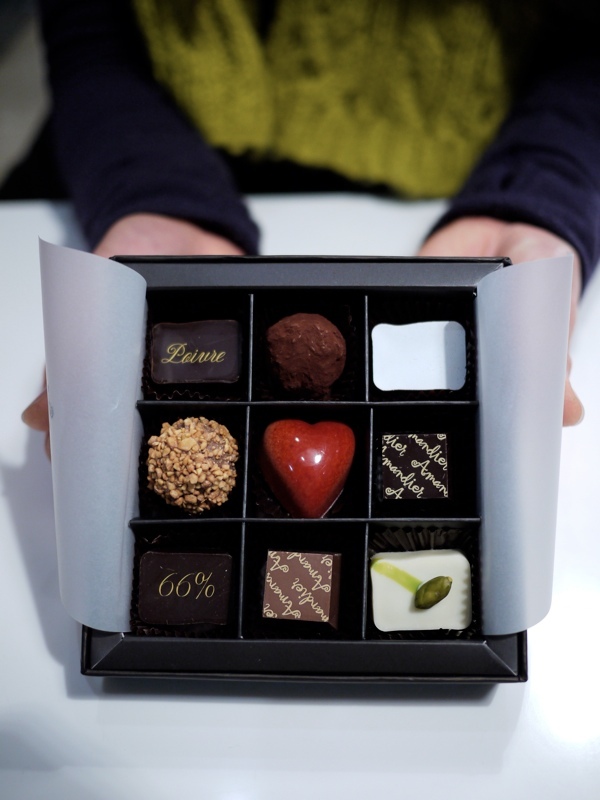 If you get bored of chocolates, you can also have a avocado and banana or truffle macaroon. Directions: Go out Anguk Station (Line 3) Exit 1 and make a left.